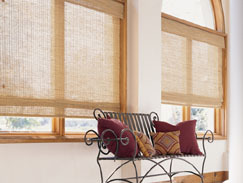 Woven Wood shades bring nature indoors. Traditional styling meets the versatility of natural wood and makes quite a statement in any room in your home. 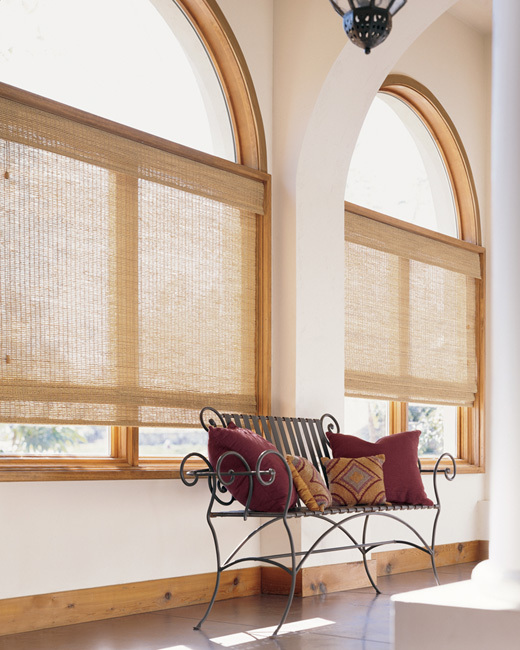 Complement your personality and living quarters by selecting from a variety of natural woods including reeds, bamboos and hand tied grasses. 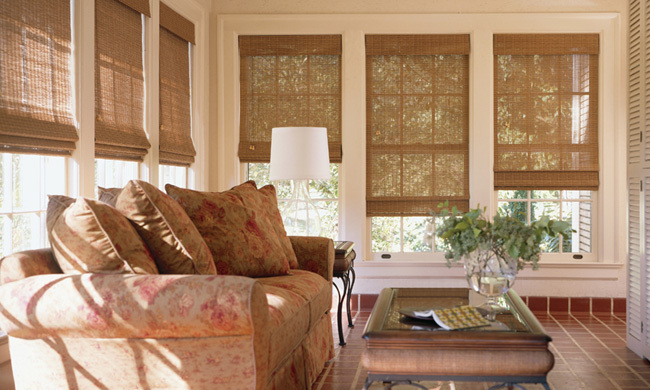 Woven Wood shades are uniquely textured, adding casual good looks to any room. 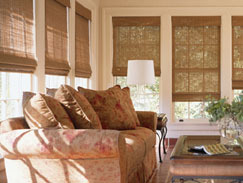 When lowered, Woven Wood shades lie flat; when raised, the Woven Woods hang in even, overlapping Roman folds. 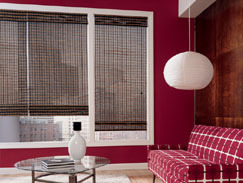 Woven Woods can be lined in both Room Darkening and Light Filtering Privacy lining. 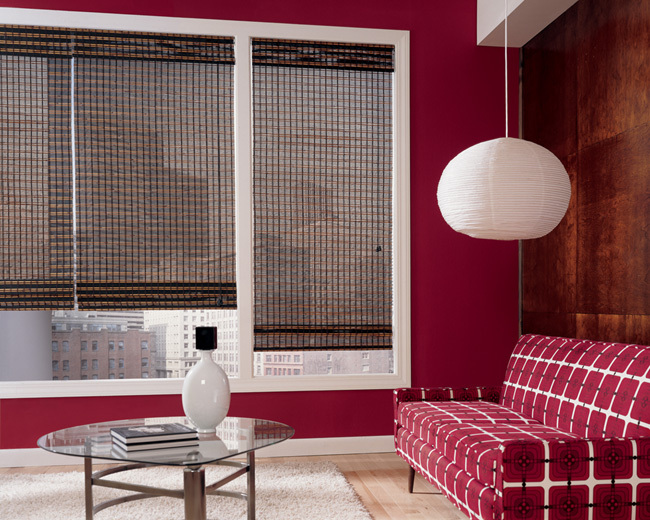 For a complete selection of Woven Woods and a free in-home consultation contact the Today's Window Fashions location near you!